We live in the age of social media and inauthenticity. We curate our lives through what we post on our social media accounts, which has become a whirlwind for disaster and people feeling like they aren't good enough. I feel like Hello, Sunshine speaks to that on so many accounts, but it's something almost all of us are guilty of doing. Now let's get my big complaint out of the way - there are handful of things in the book that are never explained - like how a certain leak was even obtained by the person who revealed the secret. Not to mention all the other things that were just left out. But whatever. It's fine. It's fine. I really disliked pretty much everyone in the book, even Sunshine - it's always weird when you're not really on the protagonist's side. I did, however, quite like Ethan, and wish there would've been more of the story when it came to his character. I also wasn't a fan of the ending, because I felt it was too open-ended, and I was just also really unhappy with the decision made. Overall, I thought the novel was a fun and fast read. It was heavy on the chick lit themes, and is a perfect summer beach read. I found it a bit reminiscent of Sweetbitter, but better. 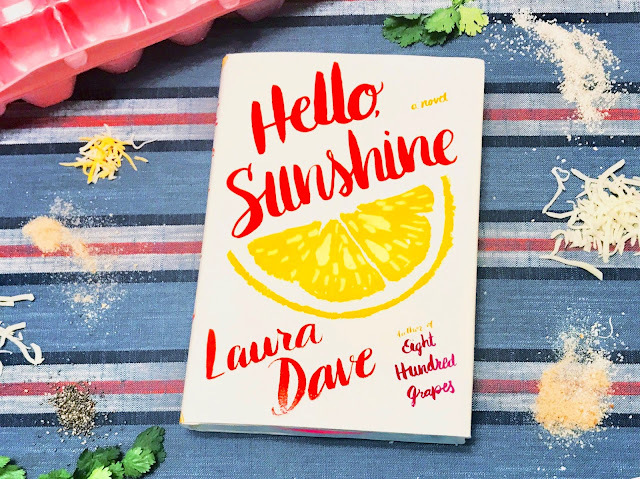 I'd definitely recommend Hello, Sunshine if you're looking for a fun, light read. Sounds like such a cute concept and set-up for a book but huge bummer they left all those things unanswered! 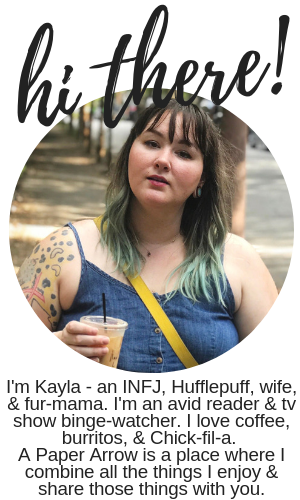 I always love your pics for book reviews- SO cute girlfriend! Thank you so much! It's so funny to think of my husband's reaction when he came in and saw me taking this picture - like why are ingredients all over the tablecloth? Lol. This was the exact same sentiment that I had when I read this! 800 Grapes was so cute too... glad it wasn't just me! Yes! I really enjoyed both novels I read by Laura Dave - she's so easy and laidback to read!